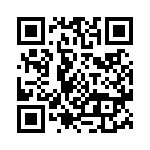 QR codes – The quickest way to access long url’s on your mobile? Will you scan this? Where will it take you. Just wondering today whether there’s any real value in QR (quick response) codes for anything other than marketing surveys etc. If you have a ‘smart-phone’ and are curious to see where this one will lead, I dare you to open your bar code scanner and take the plunge. Unlike the previous post which prompted a plethora of verbose musings I think this image should just be left without comment. It’s all about the light. OK, so perhaps classics is pushing it a little bit too far, but whilst leaning back in my office chair I saw this pile of books that my eldest son has ‘finished with’. Music in the Meadow is 40 years old (was given to me in 1970), The Pictorial History of Aircraft was bought for me when I was around 9 (according to the inscription my Nana always insisted on writing) and The Ever Changing Woodland was published when there was woodland to change and the countryside wasn’t just a strip of land between motorways. Whilst the annuals in the photo are recent, both The Dandy and The Beano were also regular deliveries from Santa for me and my Father before me when he was a boy. The image is nothing special, but it made me think about the printed word, the feel of a book, the smell of a book store. None of which a Kindle will ever be able to match. In spite of electronic everything, there’s something about the smell of a well thumbed novel, or the way a glossy page of photos turns that hopefully will continue to live on.